Somehow, these feelings led me back to my blog and the realization that I never truly invested in it. For a while, I had been unsatisfied with many aspects of it, and rather than confronting those issues and comprising a plan of action, I wallowed, waiting until something magical came along to fix it. Naturally, that never happened, and the blog got tossed aside. 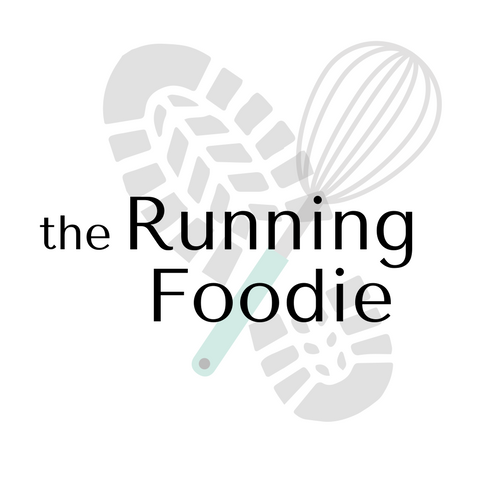 So, here I am, in the simplest manner possible, turning what was once a negative into a positive, starting off fresh with a new blog look. I'm looking forward to sharing my thoughts and recipes with you in this space again, beginning with one of my top-ten favorite desserts. Lemon bars are, to me, one of the greatest treats of all time. 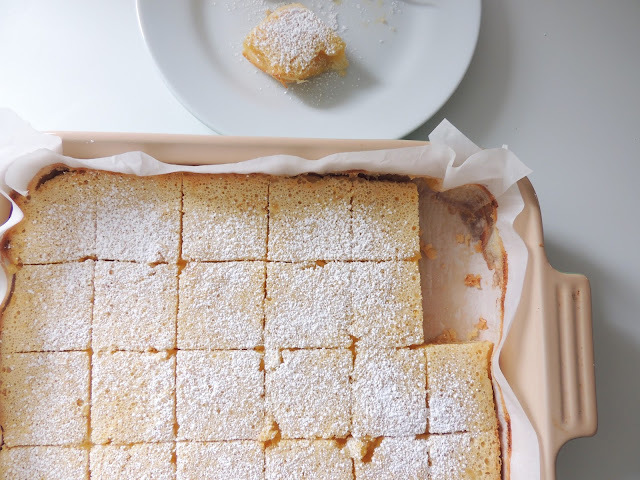 When made properly, the smooth center boasts a tangy lemony flavor cut through by the sweet layer of confectioners' sugar and crisp shortbread crust. It's the epitome of a spring-time dessert. I can't remember the first time I ate one, but I can remember the first time I ate one after a long absence, and it was divine. 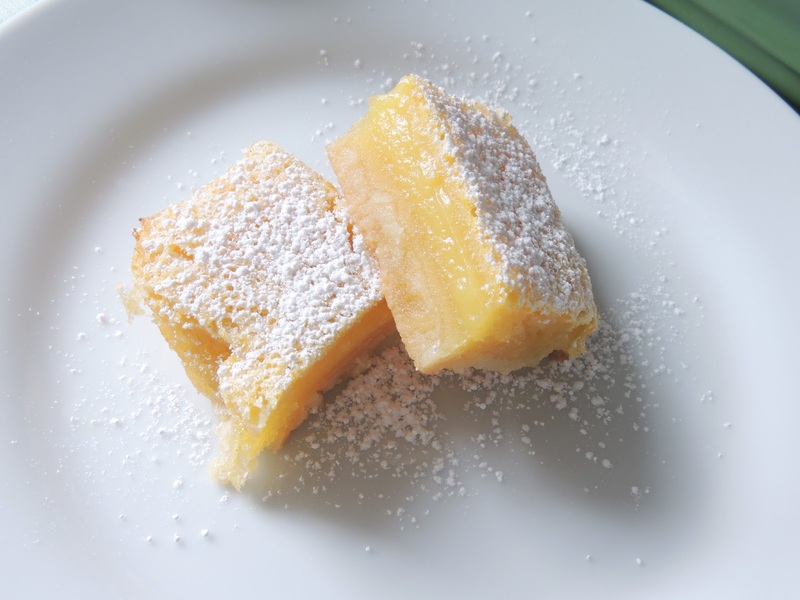 In a small cafe in Indiana on a trip home to visit my family, sipping lattes and taking bite after bite of a lemon bar. It's not a dessert you see very often anymore, unfortunately. 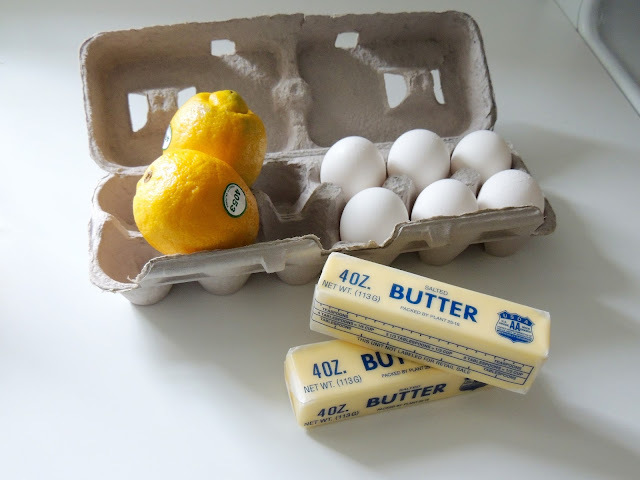 I altered an Ina Garten recipe in the manner in which most of us do - substituting large eggs for extra large eggs. 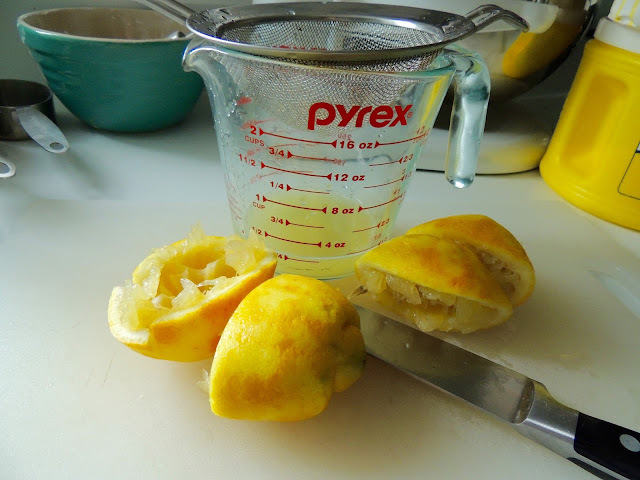 I also reduced the sugar to allow the tanginess of the lemons to stand out. So, to any of you who find yourself struggling, I hope you are also reacquaint yourself with an activity that brings you pleasure - one that keeps you moving in the right direction. Here's to not wallowing, and here's to turning the lemons in our lives into good things. 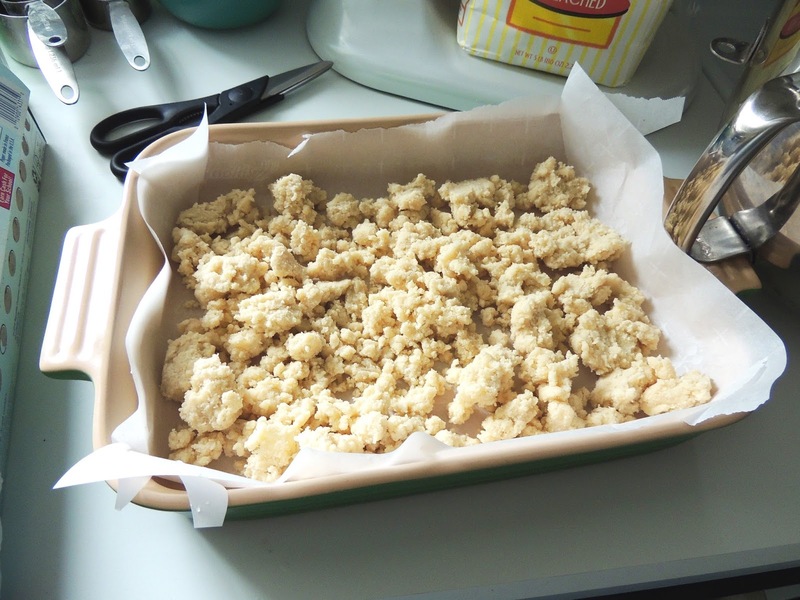 1 - Line a 13x9" baking dish with parchment paper, leaving an overhang on both long sides. Cream the butter and sugar together, just until combined. Add the flour and salt, beating just until combined into butter mixture. 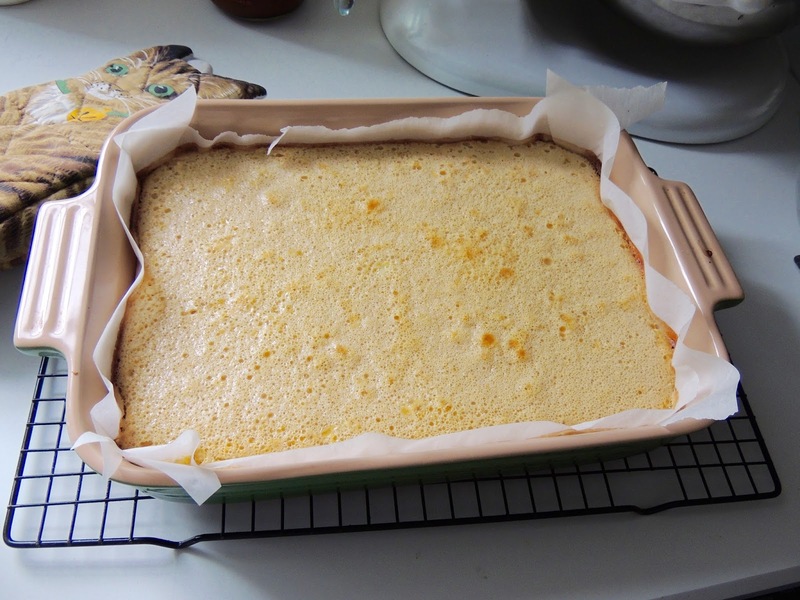 Dot mixture evenly along bottom of baking dish. Cover with plastic wrap and press into an even layer. Chill in fridge as you preheat the oven to 350°F. 2 - Bake chilled crust until lightly browned, 15-20 minutes. As it bakes, prepare the filling. 3 - Whisk flour, salt, and sugar together in a medium-sized bowl. Whisk in eggs, lemon juice, and lemon zest until mixture is smooth and a little frothy. Pour over warm crust. Bake for an additional 25-35 minutes, or until filling is just set. The toothpick test may not come out clean, but the filling shouldn't be runny. Place baking dish on a wire rack to cool completely. Filling will further set the longer you wait. 4 - To form neat slices, run a knife under hot water and dry it. Repeat after every slice. Dust with as much confectioners' sugar as you can handle. Thank you very much for sharing your post. I liked your recipe . I will try it. sure.I hope this is very yummy one.